A rail tank car at the Fire Service Institute, Champaign, Illinois on Sept. 7, 2016. 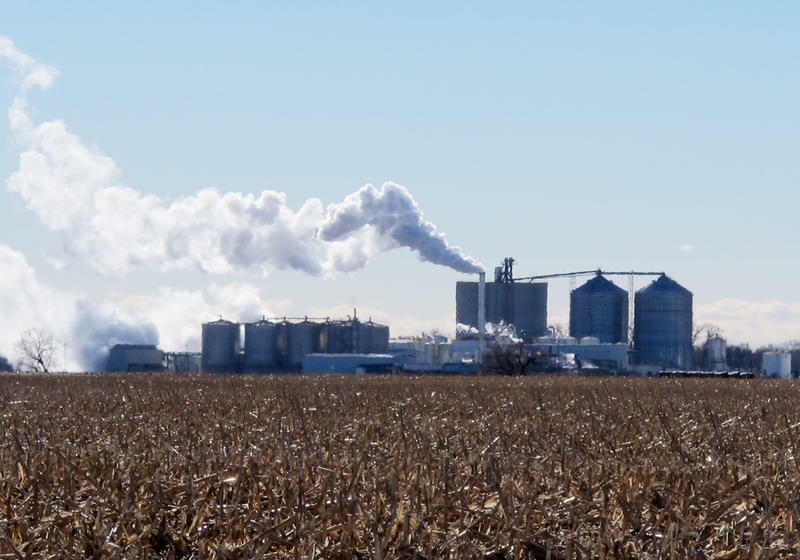 The Midwest Center for Investigative Reporting found that as production and transportation of ethanol has risen dramatically in the region over the past three decades, so have ethanol spills. In 1985, the Midwest experienced 36 spills. By 2015, the number was up to 173, reaching as high as 211 in 2013, according to the U.S. Department of Transportation Hazardous Materials Incident database. Illinois has reported 1,101 ethanol incidents since 1985, making the state second to California in total number of spills. In 1985, Illinois reported 7 spills, opposed to 97 in 2013. Between 1985 and 2015, 1.3 million liquid gallons of ethanol have been spilled nationwide. At more than 760,000 liquid gallons – the Midwest region accounts for almost 60 percent of this total. Illinois ranks the highest – with more than 264,000 liquid gallons of ethanol released between 1985 and 2015. Ohio ranks second at over 118,000 liquid gallons and Iowa ranks third with more than 88,200 liquid gallons released. The Midwest Center for Investigative Reporting focused on spills involving fuel ethanol containing 5 percent or less gasoline, not the type of ethanol that can be used in standard or flex fuel cars. The vast majority of ethanol is transported in this potent form from producers to fuel blending terminals, where it will be further diluted with gasoline and sold for its common use. For Clapp, these spills are a clear and present danger to the firefighters he trains. Incidents can happen anywhere, including places covered by volunteer rural fire departments, as the majority of ethanol spills occur when trucks are transporting the fuel and the most severe damages come from train derailments. These spills are different than other hazardous materials spills, which garner more media attention. For example, pure ethanol fires are initially invisible, until other materials are caught on fire, and cannot be put out with water. Instead they require a special type of firefighting foam, which isn’t always a quick fix. Like his firefighters, Clapp has to be ready, too. The Illinois Fire Service Institute is housed next to a set of Canadian National railroad tracks. “I’ve seen ethanol trains coming through here,” he said. The spills mirror the tremendous increase in ethanol production and transportation in the Midwest. About 38 percent of all corn harvested in the United States in 2015 was used to produce ethanol, more than three times the amount of corn used for ethanol production in 2005 and 19 times more than 1985, according to the USDA. A major reason behind the increase of ethanol production is the Renewable Fuel Standard Act of 2005, which makes it mandatory for gasoline — and since 2007 diesel, too — to contain a minimum amount of fuel that comes from renewable resources. With that much production and its location in the heart of the Midwest, Illinois has been home to nearly 10 percent of the 11,119 spills in the nationwide database over the 30-year period from 1985-2015. 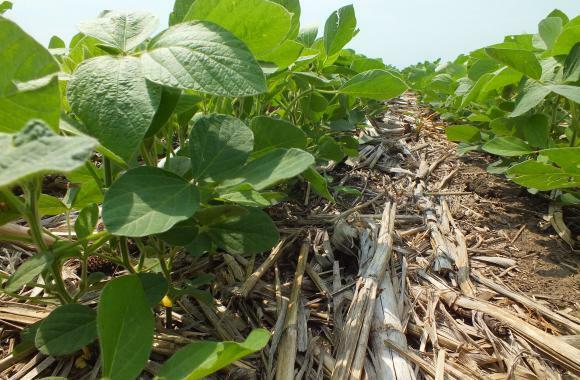 Illinois has a high percentage of spills because of its location, said Kelly Davis, a spokeswoman for the Renewable Fuels Association — the ethanol industry’s trade association. “Illinois, and especially Chicago, is a central hub for the transportation of anything,” Davis said. But Illinois isn’t the only Midwestern state with significant spills. In Ohio, which reports the second most spills in the Midwest, the number has gone up from nine spills in 1985 to 36 in 2015. In 2015, Indiana reported 16 spills, Michigan experienced 13, Kansas totaled 11, and Wisconsin had nine. On June 19, 2009, a train carrying ethanol derailed in Cherry Valley, Illinois, because of washed out tracks. Nineteen cars derailed, leading to a 15-railcar, 400-foot long pileup erupted into flames hundreds of feet high. The fire engulfed several cars at a nearby railroad crossing. One woman died, her pregnant daughter lost her unborn baby and six others were injured. Two firefighters sustained minor injuries. More than 600 residents were also evacuated and total damages amounted to $7.9 million. On April 2, 2014, firefighters responded to a truck crash 10 miles west of an ethanol plant in Caro, Michigan. The tanker, carrying 13,000 gallons of ethanol, had run off the road and into a tree. When responders arrived, they found flames more than 200 hundred feet high, along with the truck burned down to its axles and rims and its driver’s body in the remnants of its cab. On Nov. 7, 2015, a conductor on a BNSF train applied the brakes too quickly and 25 railcars jumped the tracks while traveling over the Mississippi River near Alma, Wisconsin. Five of the cars leaked, releasing about 20,000 gallons of ethanol into the river and leading to the evacuation and closing of nearby highways. The crash caused $2.1 million in damages. Accidents over bodies of water are especially damaging because ethanol changes the chemical balance of the water, unlike gasoline, which floats at the top. This is especially harmful to fish because when ethanol mixes with water, it starts a bacterial process that takes out the oxygen, which will make the fish suffocate. Nationally between 2000 and 2015, there have been 195 “serious incidents,” defined as an accident resulting in a fatality or major injury; the evacuation of at least 25 people; the closure of a major transportation artery; the alteration of an aircraft flight plan; the release of more than 11.9 gallons or 88.2 pounds of a severe marine pollutant; or the release of a bulk quantity (more than 119 gallons or 882 pounds) of a hazardous material. Even though the vast majority of ethanol – 70 percent – is shipped by rail, the majority of ethanol spills are caused by truck accidents, data shows. In 2015, all but three spills in Illinois involved trucks. Nationwide, 523 of the 607 spills were caused by trucks. These accidents range from a valve that wasn’t properly shut to a crash that leads to an explosion. Even small incidents like a leaking valve require the presence of firefighters because of the significant dangers of ethanol fires. They need to be present, so they can stem the spill, Clapp said. However, the Renewable Fuels Association touts the safety of the rail transportation. “Safety is always a priority,” said Davis, the spokeswoman for the organization. “Highway safety is a totally different subject matter,” Davis said. When asked why so much attention is paid to train spills instead of the more frequent truck spills, Davis said she didn’t know. “I have no answer for that. An ethanol truck wreck is not different,” she said. The cleanup of major ethanol spills often requires state and federal investigations into what went wrong. In the aftermath of the Cherry Valley incident, the railroad company, Chicago, Central & Pacific Railroad, had to pay $570,000 to the Illinois EPA, Winnebago County and the Illinois Department of Natural Resources for the environmental impact the leaked ethanol had on the rivers near the Cherry Valley incident. Full details of the settlement can be read at the Illinois’ Attorney General’s website. A tanker hatch at the Fire Service Institute on Sept. 7, 2016. The National Transportation Safety Board also looked at the DOT-111 tank cars that were transporting the ethanol that day, and determined the spill was in part caused by the “inadequate design” of the car, even citing the Cherry Valley incident as a catalyst for change. At more than 100,000 cars, the DOT-111 is the most commonly used car to transport hazardous materials in the United States, including 27,037 to transport ethanol, according to federal documents. In December 2015, Congress passed the Fixing America’s Surface Transportation Act, or the FAST Act, which required that all DOT-111 cars be replaced by DOT-117 rail cars for transporting ethanol and crude oil by May 1, 2023. In a July roundtable, NTSB board member Robert Sumwalt said that until the transition is completed, there is still great risk that the DOT-111 cars will spill. Jackie Anderson, a spokeswoman for Archer Daniels Midland — one of the largest ethanol producers in the Midwest — commented on the costs of the ruling for ADM as a shipper. In their 2014 comment on NTSB’s proposal and during the interview, RFA said that the root cause of the rail accidents are the railroads themselves. Davis said that follow-up documents show the Cherry Valley incident was not caused by the car but by the state of the track; nonetheless, the NTSB report showed the railroad car design contributed to the severity of the crash. While he did not want to comment directly on the Renewable Fuels Association’s statement, Ed Greenberg, the Association of American Railroads spokesman, said the freight train industry invests billions of dollars in safety and technology every year. Greenberg also mentioned the railroad association’s support for the ruling on higher tanker standards. “We have been calling for tougher tank car standards for years. While the railroads don’t own them — the shippers do — we are responsible for them by federal law when we use them,” Greenberg said. The Midwest Center for Investigative Reporting is an independent, nonprofit newsroom devoted to coverage of agribusiness and related topics such as government programs, environment and energy. For more, visit www.investigatemidwest.org or follow on Twitter @iMidwest. 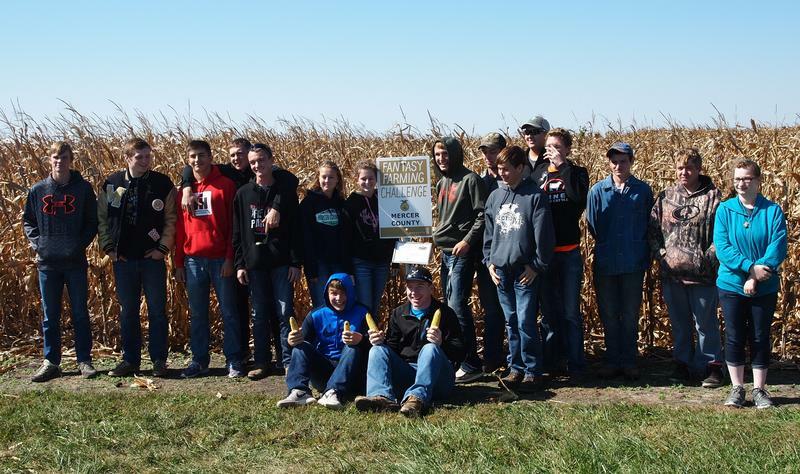 Fantasy farming gives high school students from western Illinois a chance to learn firsthand about the guesswork and gambles that farmers make every year. Five of the six biggest companies that produce and sell seeds and chemicals to the world's farmers are pursuing deals that could leave a market dominated by just three giant, global companies. 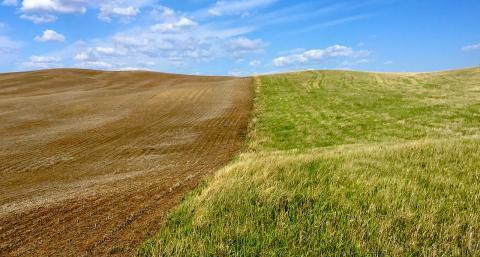 They say getting bigger means bringing more sophisticated and innovative solutions to farmers faster, but opponents say consolidation has irreversible downsides. 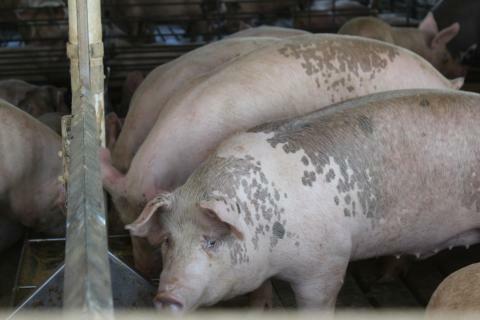 Bacteria containing a gene that confers resistance to an important class of antibiotics have been found at a swine farm in the U.S., raising the troubling concern that one of the last lines of defense against hard-to-fight infections might be failing. 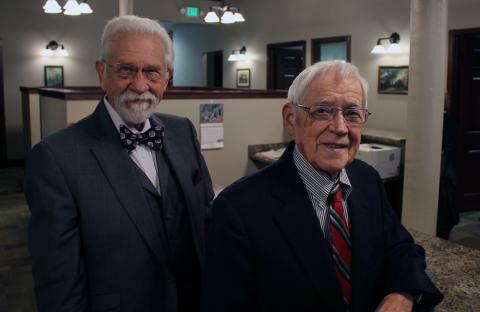 Fewer young attorneys are choosing to set up shop in small towns and take over for retiring professionals. Just like the shortages of doctors, nurses, dentists, even farmers, many rural areas are seeing a shortage of young lawyers.